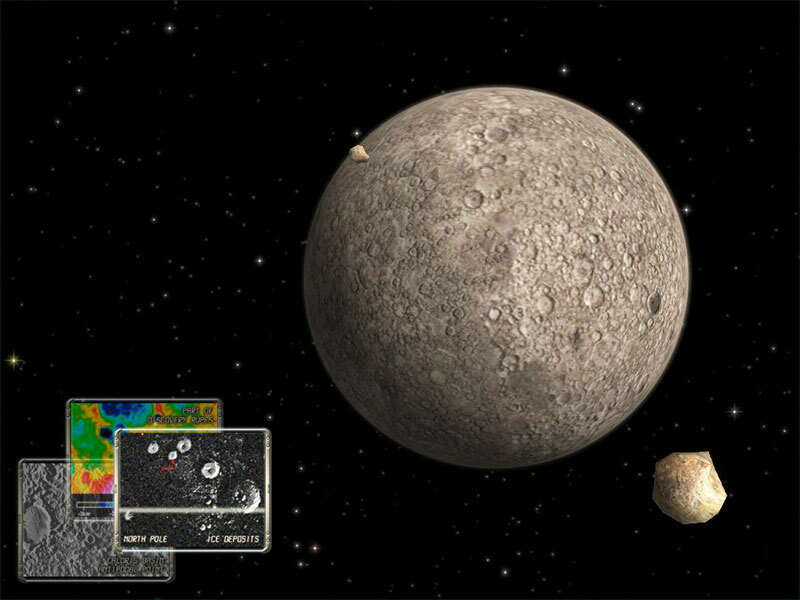 ﻿ Mercury 3D Space Survey Screensaver – Become more familiar with the first planet of our solar system. Could the life have appeared on the Earth, if it had been as close to the Sun as the Mercury? Obviously no! This mysterious planet is the only one where temperatures reach around +427°C on the side which is turned to the biggest star of our galaxy. It implies that metals such as zinc or tin are in the state of liquid. Meanwhile, the temperature on the side which is not lit by the sunlight, is not suitable for the existence of any living matters as it decreases down to -173 °C. Besides, due to the fact that this planet is the closest to the Sun, it completes its full cycle only during 88 days. Therefore, as it is so impetuous, it had been called Mercury after the swift ancient Roman god of trade. We know significantly less about Mercury than about the planets that are closer to the Earth – Mars and Venus. However, it is still related to the terrestrial planet group because it does not consist of gas and has an atmosphere, nonetheless, the latter is very thin. Its surface resembles that of the Moon. The Mercury 3D screensaver will help you see that. By using it, the novice astronomers will be able to view the peculiar beauty of the sights that comprise this harsh in all senses celestial object. Nevertheless, the planet was discovered in the ancient times, it can only be observed from the Earth during the sunrise and the sunset. 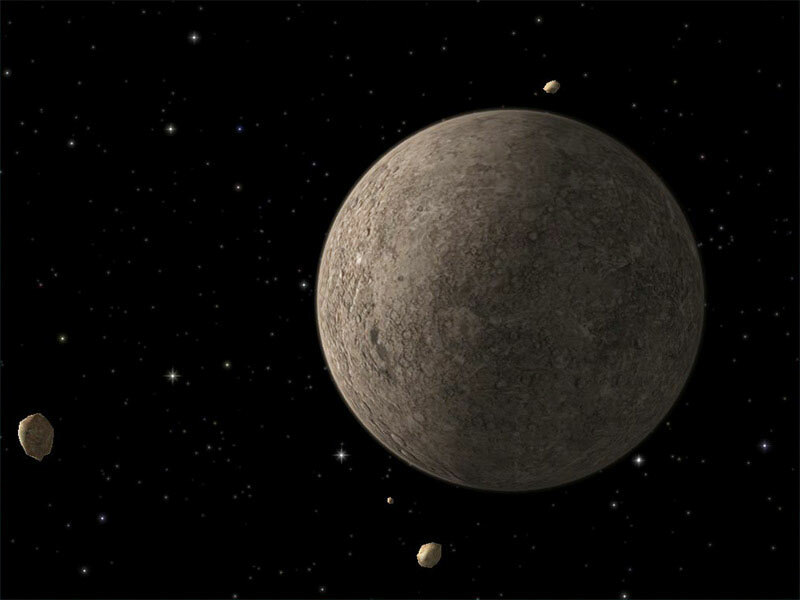 The scientists started to study the surface of the Mercury only with the invention of the modern radio telescopes, whilst the detailed images of the Mercurian sceneries that formed the basis of the Mercury 3D moving screensaver, were obtained only with the help of the space («Mariner-10» и «Messenger»). 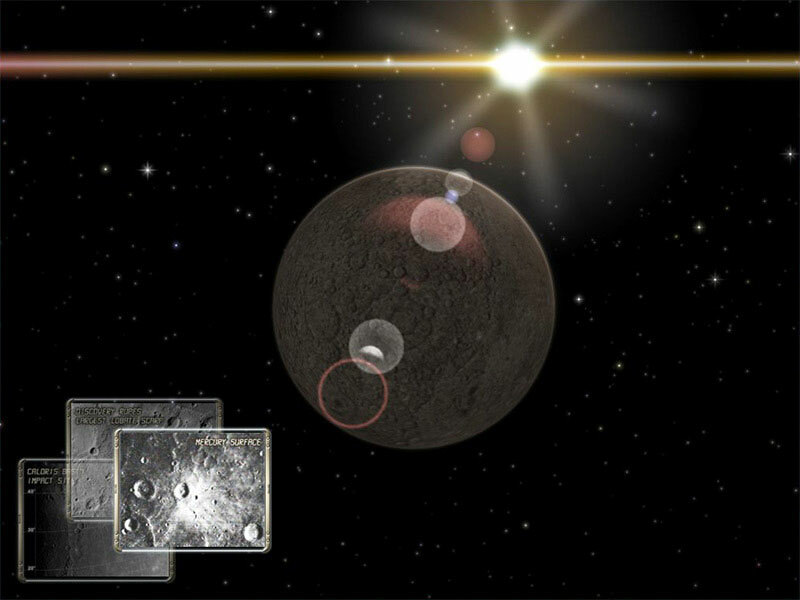 By watching the Mercury on the screen of your computer, you will be able to convince yourself of how beautiful this planet looks in the sunrays which is found on the minimal distance from this celestial object that has approximately the same size as the Moon.